Shuttle drivers and maintenance workers employed by Standard Parking (SP Plus) at T.F. 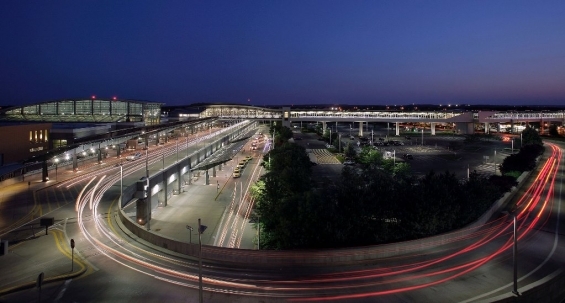 Green Airport in Rhode Island are the newest workers to join Teamsters Local 251. The workers voted 18-0 to join the Teamsters on January 10. The election was certified on January 23. “The vote says so much. In these times, 18-0 in favor of the union tells you how badly management was abusing these workers,” said Matt Taibi, Teamsters Local 251 Secretary-Treasurer. The workers initially called the union in November 2017, with assistance from SEIU 1199 NE. Currently the top wage is only $12.50 an hour and new hires are paid the exact same wage as long-term employees. The company hasn’t offered a wage increase in years. Other issues include bathroom access and conditions, the use of cameras that run 24/7, and unfair terminations and discipline. Joint Council 10 assisted Local 251 in the drive. Local 25 has Standard Parking members in the Boston area, and the Council was helpful in coordinating research during the drive. UPS Teamsters from Local 251 and across New England are standing strong. UPS tried to unilaterally implement a 70-hour work week. We’re fighting back. 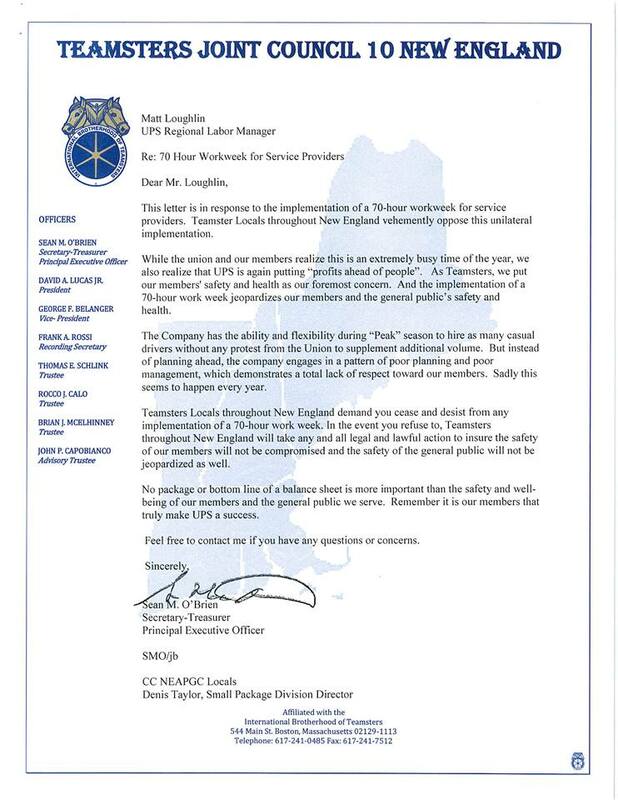 Joint Council 10 principal officer Sean O’Brien put management on notice that New England Teamsters are united against the company’s actions. UPS management wanted to force drivers to come in for a sixth punch this weekend. That did NOT happen. 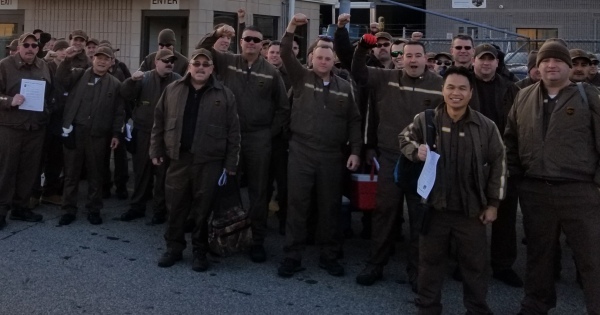 This morning, Local 251 members met in the UPS parking lot in a show of force. UPS Teamsters across New England took the same action. UPS drivers in Local 251 were asked to start early this morning. They declined the optional early start. We’re not going to go out of our way for the company when management is going of their way to ignore driver safety and violate our rights as union members. United Way of Rhode Island honored Matthew Taibi, Teamsters Local 251 Principal Officer, with the 2017 Dante Mollo Labor Award presented by RI AFL-CIO President George Nee, at its 91st Annual Celebration on October 5, 2017. Click here to watch the video honoring Taibi from the United Way of Rhode Island. 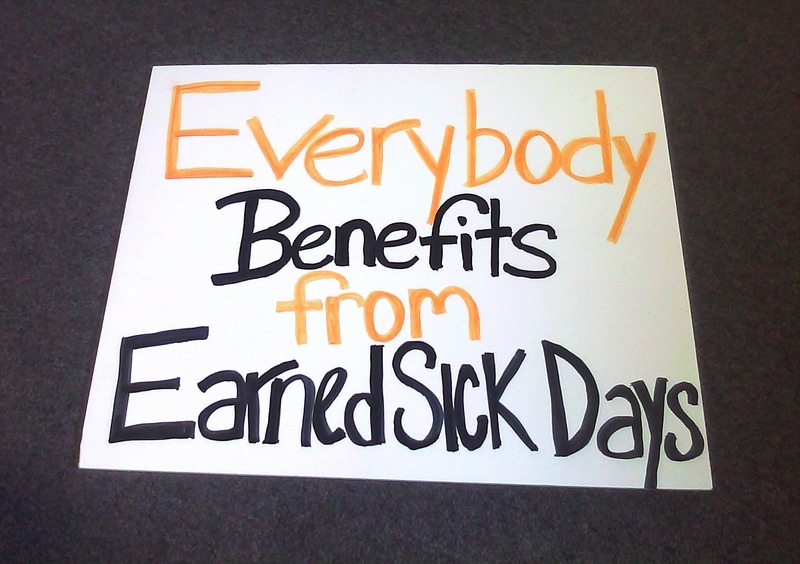 This month, the RI General Assembly passed new legislation guaranteeing most Rhode Islanders the right to earn paid sick time to care for their health and their family. But a right is only a right if you know you have it! This law will impact a lot of workers and businesses, and we want to make sure everyone has an opportunity to learn about the policy and weigh in on the regulations-drafting process that will take place between now and the law’s implementation next year. Join Representatives Regunberg and others for an open conversation on this important new legislation. 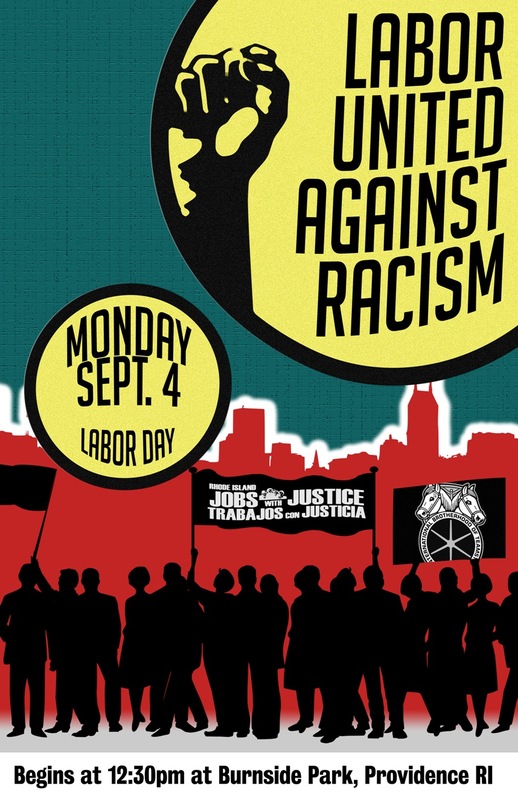 Teamsters Local 251 will honor this year’s Labor Day by participating in the Labor United Against Racism Labor’s Day March and Rally being organized by Rhode Island Jobs with Justice. All members, their families and friends, are encouraged to attend the March & Rally on Monday, September, 4 starting at 12:30 PM, beginning at Burnside Park and ending at the State House lawn in Providence. This Labor Day, all working people are called upon to unite against the corporate greed that continues to rig the rules to benefit the 1% and to stand against the bigotry and racist violence that threatens our communities. We stand together with all members of our communities who are seeking social, racial and economic justice, an economy that works for all of us, and a society free of the evils of racism and white supremacist hate. Local 251 Teamsters at UPS celebrated the 20th anniversary of our 1997 strike victory by holding a parking lot rally to gear up for the next contract. We’re ready to fight and ready to win! Teamster Local 251 members have won an agreement for a new contract at Twin River Casino after a 41.5 hour strike from Friday afternoon through Sunday morning. Teamster members unanimously authorized a strike when Twin River demanded a contract that imposed health care cuts and eliminated workers’ job security. On Tuesday evening, Local 251 and Twin River negotiators reached a tentative agreement on a new three-year contract that secures and improves workers’ health benefits. The agreement needs member ratification. The agreement delivered three percent annual wage increases for non-tipped employees and improvements on the benefits previously imposed by Twin River. Twin River also dropped its demands for contract changes that would give management the right to lay off all parking valets and subcontract their jobs to a non-union operator. “My job security is everything to me,” said Cory Almeida. “It took a strike to protect our jobs, and we were ready to do it.” Other union workers honored Teamster picket lines. Local 251 members credited public support and solidarity between unions for delivering the breakthrough in Tuesday’s negotiations that led to a tentative agreement. “We’re hitting a tipping point,” said Local 251 Principal Officer Matt Taibi. “Rhode Islanders see growing inequality, healthcare cuts, and the loss of good jobs. They see that corporate greed and corporate politicians are hurting working families. Local 251 is awarding ten $3,500 college scholarships to children of Rhode Island Hospital Teamster employees. This benefit was negotiated in our union contract with Lifespan. A drawing will be held to determine the scholarship winners. Applicants must be the son or daughter of a Teamster member in good standing at Rhode Island Hospital to be eligible to apply. Applications should be returned to the Union Hall or submitted to a Liaison, Union Representative, or the RIH H.R. Department. Only one (1) application per student. Applications must be received by Friday July 31. (June 1, 2017) – Truck drivers and gas cylinder fillers who are members of Teamsters Local 251 went on strike yesterday morning against Airgas USA, following Airgas’ refusal to consider the workers’ proposals for affordable healthcare and secure retirement during contract negotiations. The workers supply gas to many Rhode Island entities including: Rhode Island Hospital; Roger Williams Medical Center; Memorial Hospital, Miriam Hospital; Newport Hospital; the Veterans Administration facilities in Providence and Bristol; the Air National Guard; Naval Base Newport; Raytheon; Fuji Film; and Electric Boat. Airgas and its subsidiaries are America’s largest distributor of industrial, medical and specialty gases. Airgas’ parent corporation Air Liquide [EPA: AI], based in France, is the world’s largest distributor of such gases and is a Forbes Global 2000 company. The workers organized their union with Local 251 in 2012 and are bargaining for a new contract. Their first contract with Airgas expired in April of this year. “Airgas’ disrespect of its Teamster workers will have severe consequences. Teamsters in New England will use the full weight of our 55,000 members to assist Airgas members at Local 251 any other local to ensure they are treated fairly and with respect,” emphasized Sean O’Brien, Teamsters International Vice President and Secretary-Treasurer of Teamsters Joint Council 10 in New England. 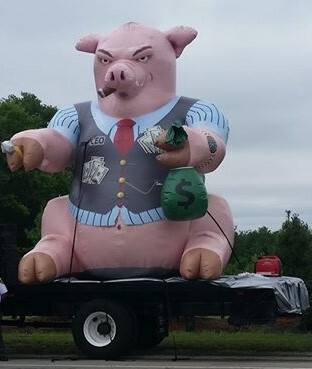 On May 9, Airgas sent a letter to employees – a letter that violates federal labor law, which bans companies from negotiating directly with workers about their union contract. “It is shocking that in addition to refusing to consider basic proposals that help its loyal employees and their families, Airgas decided to violate federal labor law that’s meant to protect workers’ rights,” said Matthew Taibi, Secretary-Treasurer of Local 251. “It’s about dignity and respect in the workplace. That’s why we are walking this picket line,” added Salgado. (FALL RIVER, Mass.) –– Teamsters Local 251 is pleased to announce that the Fall River City Council has approved, by an 8-1 vote, a collective bargaining agreement for the city’s Department of Community Maintenance (DCM) workers. The agreement was approved after an outcry by Teamsters Local 251, workers and the public over a stalled process. The collective bargaining agreement between the city’s Department of Community Maintenance (DCM) and Teamsters Local 251 includes a $245,000 settlement agreement for workers that had been reached between the city and Local 251, which effectively ends the high-profile lawsuit that was filed by the union following the privatization of the city’s trash pickup. The contract also includes important job security protections for the workers, after 24 of their coworkers were laid off following the privatization of trash pickup last year. Additional funding for training and license renewal was included, allowing for DCM workers to become more skilled. After some debate by the finance committee last night, the matter was referred to the city council. Only one committee member, Council Vice President Linda Pereira, expressed disapproval for the settlement and contract. Council President Shawn Cadime harped on the city giving away ‘management rights,’ but did not disapprove of the agreement. Later in the evening, the city council quietly voted 8-1 in favor of the agreement, with Pereira being the lone dissenter.